Wow! Hélène Rush has created a new way to create with Alcohol Ink. Hélène Rush has done it again creating a new and exciting way to create with Alcohol Inks. 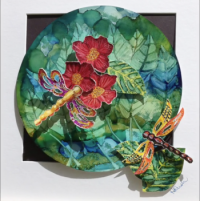 This 3D Leaves Painting is new way to create with Alcohol Inks. A 9-part video lesson includes several techniques using liquid inks, markers, a burning iron, put all together using a fun 3D assembly. Sure to delight. 2 responses on "Wow! 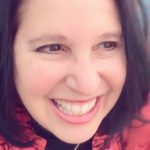 Hélène Rush has created a new way to create with Alcohol Ink." Hi Margaret. Yes the class will be available when you get back from all your wonderful travels. Have fun.